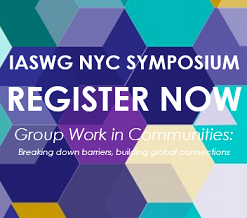 Since 2003, the Global Group Work Project has engaged social work educators and practitioners from diverse geographic regions and cultures in sharing how social work with groups is practiced and taught. The Project is an integral part of the International Association for the Social Work with Groups, and received initial funding from the International Association of Schools of Social Work. Our website posts questions, resources and updates about social work with groups internationally, and provides forums for future collaboration and research. You are welcome to join in the Global Group Work Project's activities as we continue to encourage opportunities for effective and powerful social work group experiences throughout the world. We greatly appreciate your comments and suggestions! We would love to hear your ideas for interactive features, activities and content on the website. For additional information, please go to the website or contact Carol Cohen, at [email protected].